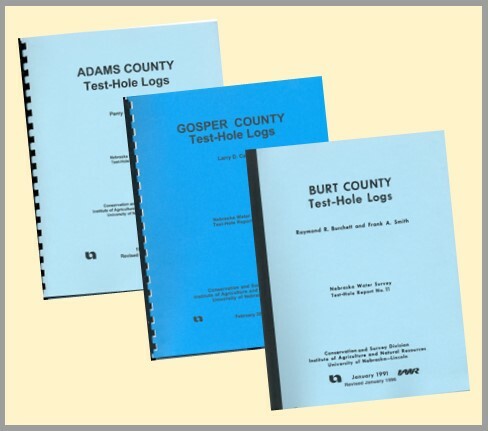 Test Hole Reports (THRs) compile the records of test holes drilled in each Nebraska county. 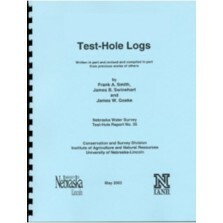 Both the original printed books and documents and the current data are available. The paper books have little or no narrative but large amounts of data of primary use in groundwater geology, construction, waste-disposal siting and mining. The sediment thicknesses are recorded for every hole. Printed books are available for purchase below, make your selection from list displaying County Name (SKU #) Publication Date of individual book. The on-line data can be viewed and downloaded here.